Please do not worry that your post does not appear on this page IMMEDIATELY after you have linked it. As I say EVERY week they have to be moved manually and I get to them as soon as possible! Here in the UK there is definitely change in the air. Scotland is going to have referendum to leave the UK, we will soon be able to vote on the appointment of police commissioners and here in Bristol, we will soon have a Mayor. The weather is changing albeit quite slowly and the energy companies are increasing their prices so it must nearly be winter. Click here to enter your link and view this Linky Tools list which will close on 29th October.Remember, it will be moved here asap! …and what will winter bring..
Do join the next & welcome! Pingback: A Hundred Words – A Million Memories | Don't Carry The Donkey! 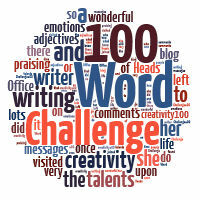 Thnx again for the challenge Julia, your challenge has given my new blog 100 views in the first 4 days. YAY! I’m trying a writing challenge for the first time this week – yours. I hope I got the details right! Thanks for the prompt, and for the challenge. Just today found this, through Learning2Hear. Now I must read more on what this is all about! Scotland wants to separate from the UK? I guess i don’t watch enough news. What’s that all about? In Canada, Quebec constantly threatens to leave Canada, but it never happens. Ooooh, I love a good challenge, and a challenge this one is! 🙂 thnx!